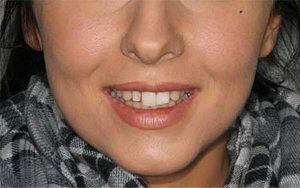 To know about the quality of our work at Chatswood CBD Dental, you may look at some real life case examples, which are below. The works, which we do here, include some amazing Cosmetic Dentistry and Restorative Dentistry work. Our expert dentists work at Chatswood Dental Veneer. 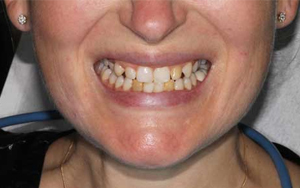 Pre-op: The young patient, whose age is below 20, was very much worried about the gaps and discoloration of her teeth. 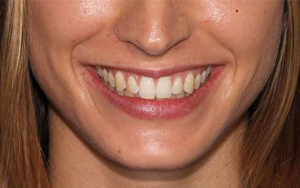 We took a minimally invasive approach to improving her smile. 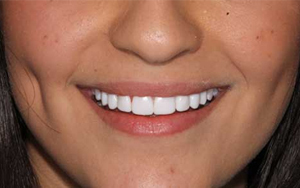 Post-op: We placed Veneers on her teeth, almost without cutting at all. 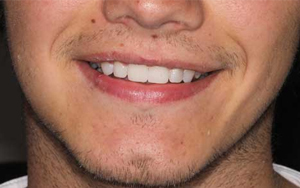 Minimal-prep Veneers has not suited everyone because of too much thickness of teeth. But in this case, it suited the patient very well. Pre-op: The patient was feeling uncomfortable because of her misaligned upper jaw, missing teeth, mid-line shift, as well as discoloration of the side teeth. Post-op: our expert dentists correct the problem with a dental bridge and gum grafting. Orthodontic treatments, implants, veneers, which are the alternative plans, were rejected because of time constraint. We can discuss with you about all options during the consultation period. 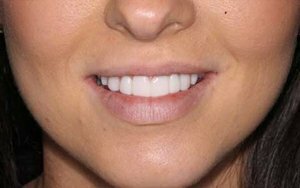 Pre-op: The patient presented with a sweet smile, but she desired to have whiter and slightly longer teeth due to fillers in her lips. Post-op: The patient is satisfied, as her smile has changed according to her wish. You may consult with us for any other changes. Pre-op: The patient wished to improve her already good smile. He was concerned about disproportioned lateral incisors and slightly bulky canines. The shades were also not good. 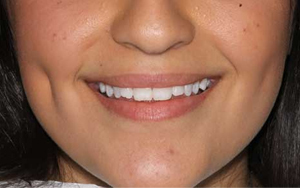 Post-op: 10 Veneers were placed according to the patient’s preferences. Our prior concern is the patients and so, you are always welcome to discuss with us about such involving treatment. Even after completing of any case, we are here for you to consult about any changes or anything. 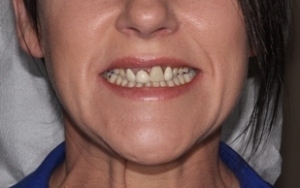 Pre-op: The patient was feeling uncomfortable due to some discolored old composite resin veneers and a slight asymmetry in her upper teeth shape and length. She desired to have some delicate changes, related to both function and aestheticism. 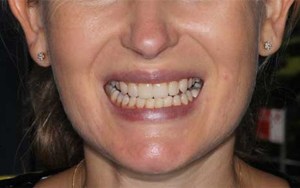 Post-op: The Veneers were placed in a shade, which closely matches her natural dentition. We can make various ways of Veneers according to one’s requirements. Pre-op: The discoloration, because of a leaking old restoration and root canal therapy, bothered the patient. 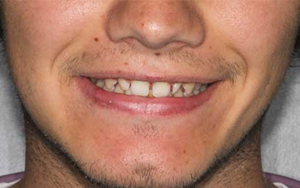 Post-op: 8 Veneers were used to correct the misalignment, discoloration, and shape of the teeth. 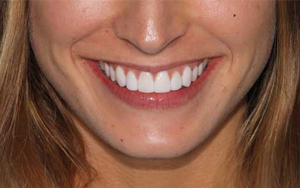 If the patient wishes to have brighter teeth, more veneers may be required.